Scroll down for more information on units. Nowra storage specialists Access Storage have over 500 secure units conveniently located just off the highway in North Bomaderry making it perfectly located for residents of Bomaderry, Berry, Kangaroo Valley, Shoalhaven Heads and all suburbs and villages north of the Shoalhaven river. With the 2019 Berry-Bomaderry highway upgrade creating traffic bottlenecks towards South Nowra-based facilities, Access Storage is now even closer than you think. Kiama and Gerringong residents are within a short 20-25 minute drive which is perfect if you're looking for set and forget, long-term storage with rates savings of up to 40% compared to facilities in Albion Park. Call Access Storage today on (02) 4422 1955 for a quote on all your storage needs! If you're moving house, downsizing, have too many things at home, storing an estate, wanting to keep work equipment secure offsite or simply not happy with the services of your current storage facility, Access Storage has the right unit available for you right now! We have a large range of unit sizes that are accessible between 6am and 8.30pm, 7 days a week, 365 days a year which means you can come and go as you please. Need help moving in? No problem - we have FREE trailer and trolleys available for use to all customers as well as a FREE storage tips guide. We're passionate about the environment and have several green initiatives underway that are reducing our carbon footprint and using precious resources as sustainably and efficiently as possible. 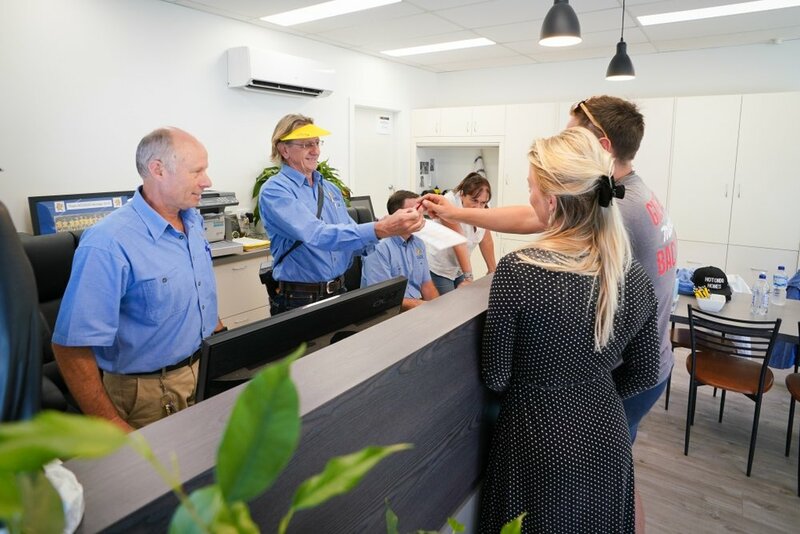 We're also conveniently located in suburban Bomaderry which means you'll never have to worry about getting caught in southbound peak hour or holiday traffic. Our office is open 6 days a week at the corner of Meroo Road & Victa Way in Bomaderry. *Terms & conditions apply. Available on selected units only.